Must-have short story collection by Garth Nix, containing thirteen stories all introduced by the author himself. 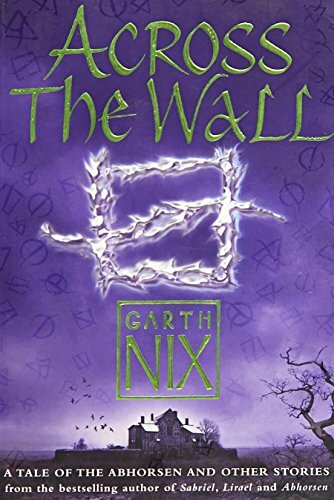 ACROSS THE WALL brings together an eclectic mix of Garth Nix’s writing spanning several years. The opening story is the 2005 World Book Day novella and Old Kingdom story NICHOLAS SAYRE AND THE CREATURE IN THE CASE, winner of two prestigious Aurealis Awards. The rest of the collection includes two tales inspired by Arthurian legend, a war story, a western, a traditional tale with a twist and a hilarious choose-your-own-adventure spoof. The volume is introduced by the author himself and, even better, so is each story – giving context, anecdotes and a generous dollop of Nix’s own wry humour. Plus! A final bonus section of frequently asked questions for which Garth Nix supplies vital answers.